Ladies, Are You Being Alpha’ed At Work? denoting a person who has a dominant role or position within a particular sphere; the head animal in a pack. . . I recently contributed to a Forbes article about women getting their voice in the room. During the Lean-In craze, Sheryl Sandberg advised us to stop sitting in chairs around the room and take a seat at the table with the big boys. Once we got to the table, we were left figuring out what to say, shoved into the spot-light to be pithy or provocative, adding value to the corporate agenda. The seat-at-the-table exercise had us women observing that those women who spoke up were viewed as overly aggressive, barley recognized or publically dismissed. We also noticed our ideas being discounted, i.e., when a man would say the exact same thing we had suggested earlier in the conversation, he was hailed by others in the room as being brilliant. In the article Speaking While Female, Sandberg and Grant point out that when men speak they are viewed as more competent, when females speak out, they are rated less competent by men and by women. Getting your voice in the room can be painful and traumatizing. I have been trampled verbally by other leaders my entire career for speaking out, particularly when going against the grain. I remember leaving my office early to go back home to cry in private when 5 male executives ganged up on me during a project briefing, really “putting me in my place.” My executive girlfriend calls it getting “alfa’ed” being at the verbal hand of a dismissive alpha male or female. 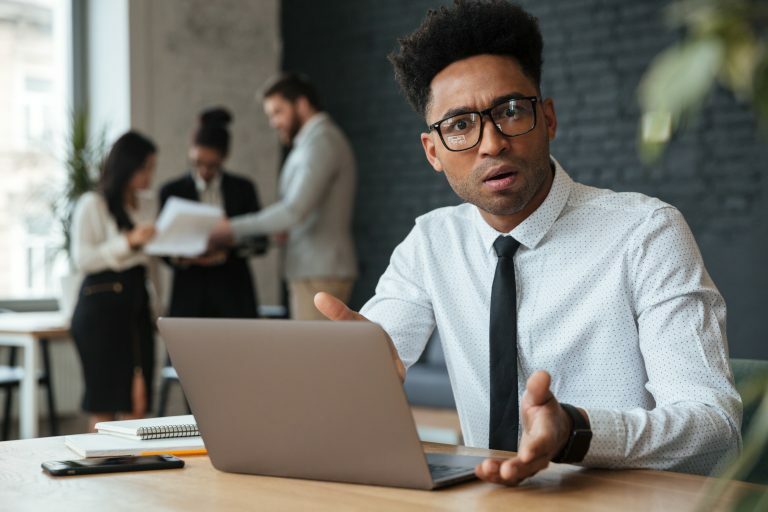 That infamous day, I was definately “alpha’ed.” When I went back to work the next day, the male executives acted like nothing had happened – I replayed the event in my mind for weeks. Sadly, I have also alfa’ed other women. I know the experience of being the leader and having to create space for a female employee that speaks in a circuitous manner, never getting to the point or adding little value to the conversation. As the leader, it can be frustrating to watch as her peers start checking their phones or start a side meeting while she is talking – a more passive, non-verbal form of dismissive behavior to another woman. As the leader, I have had to “de-alfa” myself on occasion. Years ago, my team had an intervention with me because my voice was adding too much value in the room. I had to practice how to say less to let others shine. Great leaders let others figure out solutions – my verbal command skills made my team feel like I did not trust them with their own competence. There is a plethora of research on this phenomenon of females feeling diminished or discounted for their vocal participation in the workplace, however, I would like to invite us to take this conversation deeper. I never thought this conversation was about men versus women. But rather, the relationship that we women have with ourselves – with our own alpha and beta selves. There is only one relationship here. The next conversation is about how we women accept, wear and share our POWER and fully live in the alfa sphere when we choose this mindset. How do you enhance your alpha sphere? 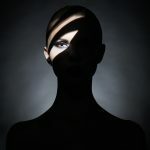 Accept Your Power: If we are playing the role of the beta woman, accepting power can be very uncomfortable. Some women live with the narrative that they are not smart enough, or are socialized not to grasp too much attention. For some women, claiming power feels like grabbing something that is underserving – who am I to speak up about that? This created identity will not serve you or your career. You are a powerful woman regardless of your worthiness narrative. Wear Your Power: Wearing your power is about using it, and yielding it for the good of the cause. I have coached women leaders who are in a position of power and they do not use it to because they do not want to appear too bossy. One woman leader told me “I like to lead from behind so my team feels empowered.” Her team was frustrated because she was not providing direction or leadership. 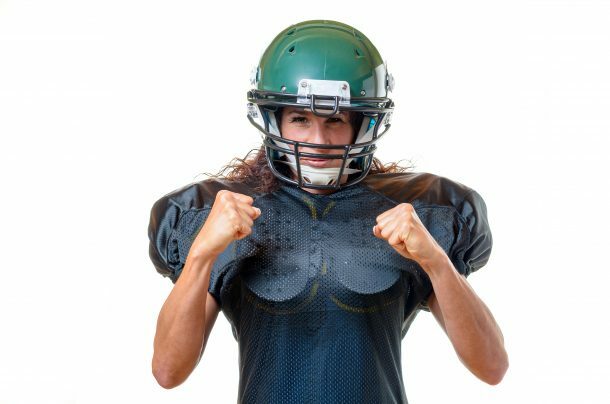 Stepping into positional power can be uncomfortable if you are running with an internal script, “don’t get too big for your britches, young lady.” I know this script personally! Oprah once confessed, she too runs with this script. This programming will not serve you. Power is like a jacket we wear – put it on when you need to – take if off when you don’t. I know a female VP who walks into every meeting with her left foot entering through the doorway. It is her personal ritual to wear her power as she enters the room – Affirm you have it because power lives inside your own mind – always. Share Your Power: Your power is about knowing when to be a beta female (receiving energy) and when to be the alpha female (asserting energy). It is very situational – we are both alphas and betas in many areas of our lives. If you are with another alpha, time to turn up your own alpha. If you are married to a beta, you might come home and turn down your alpha. If you are overly alfa with other beta women, sharing your power is a must – you need not fear other women will take it from you – because your power lives inside of you and cannot be taken away without your consent. My hope for all of us is that we step into our power as we Lean In. It’s not just about getting to the table and then having something intelligent to say – it is about owning our own power – regardless of how others receive us. It is honoring ourselves with our own declaration, whether spoken, or thought upon. As we master our own inner power – we move from having our voices in the room, to having our voices in the World. 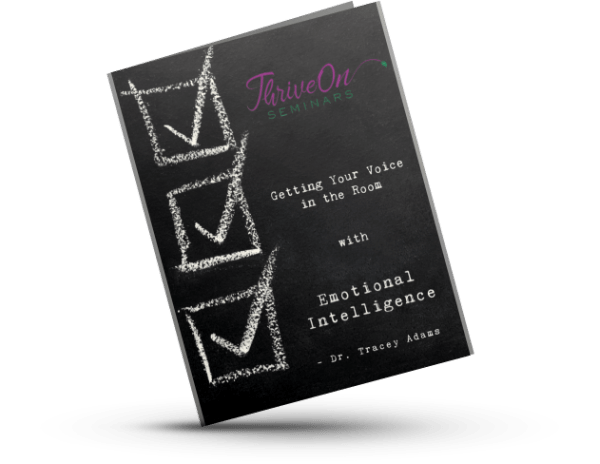 Tracey has been teaching emotional intelligence within corporations and academia for over thirteen years. The evolution of her own personal work has sharpened her purpose of guiding other powerful women on the journey of self-discovery, personal power, and well being. Partnering with the Well-Being experts at Gallup – this curriculum is transformational both in content and design. 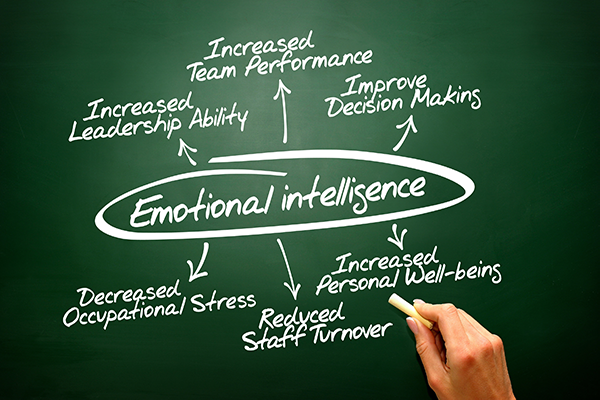 Her doctorate research (also in partnership with Gallup) explored the correlations of emotional intelligence and leader effectiveness. 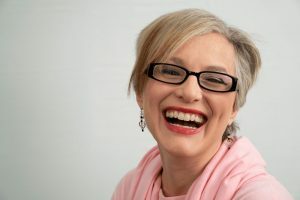 Tracey can be found in Portland, Oregon where she is raising two amazing teenagers, and facilitates emotional intelligence retreats for women and corporate teams. Subscribe to Our Newsletter and Send Me the Free Checklist! Speaking in a professional setting can be challenging. If you are verbally commanding you might appear overly aggressive, if you show up quiet and thoughtfully, you are perceived as not adding value to the conversation. This quick guide will teach you how to get your voice in the room. Dr. Tracey Adams has been teaching emotional intelligence within corporations and academia for over thirteen years. The evolution of her own personal work has sharpened her purpose of guiding other powerful women on the journey of self-discovery, personal power, and well being.